"Inch by inch, row by row, gonna make this garden grow... ." This song can be heard as children build, dig, and plant our garden bed. This enchanting little garden was constructed with hand woven fencing and arbors. Steps lead to our climbing bean teepee. We have drilled our stump and plugged it with mushroom spores of three different varieties. Little flower beds line an entrance and sugar snap peas are quickly climbing the back fence. Just today we transformed a hay barrel into a bed of basil. 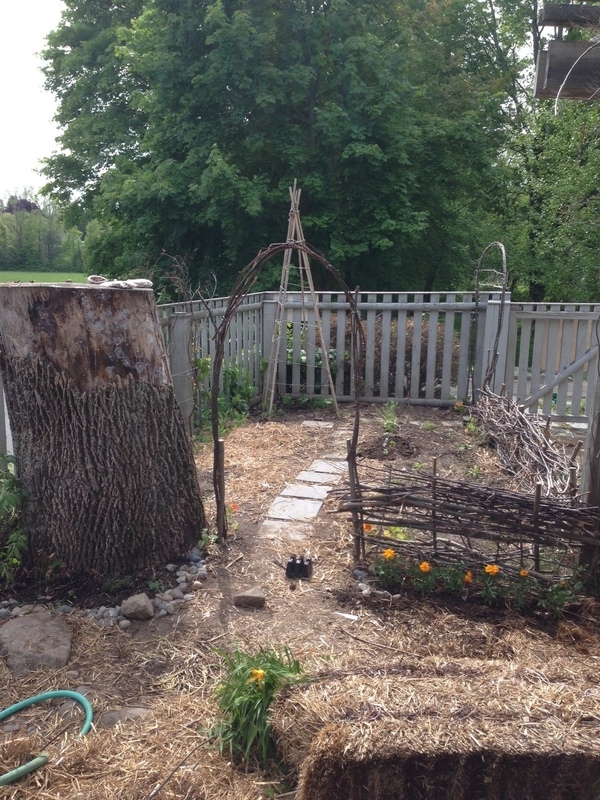 This garden has been a labor of love by both children and teachers. Now we're looking forward to watching our garden grow! Newer PostFirst Campout at Birches a Great Success!